We love food, that’s a given. We also love trying out the latest new gear for the kitchen. 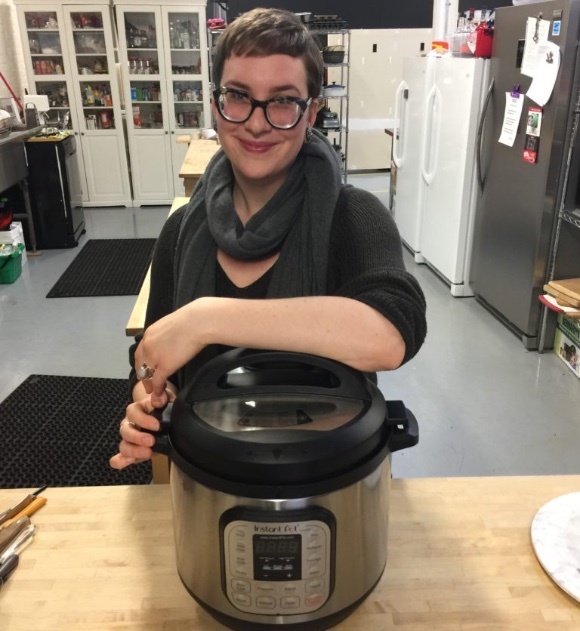 In our first installment of the Gadget Report, two members of the Nourish team went home with the Instant Pot, one of the hottest kitchen gizmos of the season. The results couldn’t be more different from each other! Danika made a red lentil dhal. Jim made BBQ pork back ribs, and garlic lamb chops. I was excited to see how the Instant Pot would fit into my “Weekday Vegetarian” diet. After a few experiments with black beans (they went from dry and unsoaked to fully cooked in 25 minutes! ), and rice (the most perfect, fluffy rice ever! 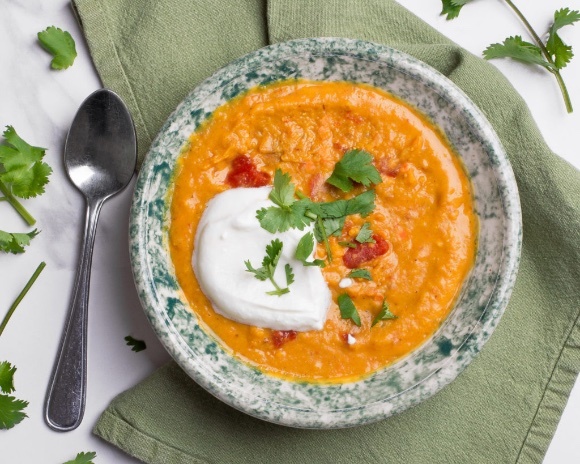 ), I settled on trying red lentil dhal. I used the sauté function to fry up some onions, garlic, and ginger. Next, I added the spices to toast them a bit before dumping all of the other ingredients in the pot. 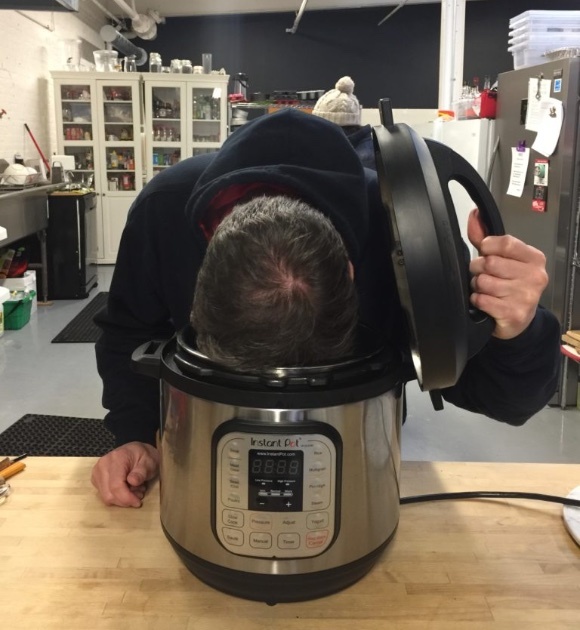 I activated the Instant Pot’s “Bean” mode for 18 minutes, and... nothing happened. Turns out I didn’t seal the steam release valve. Note to self: Always seal the steam release valve. 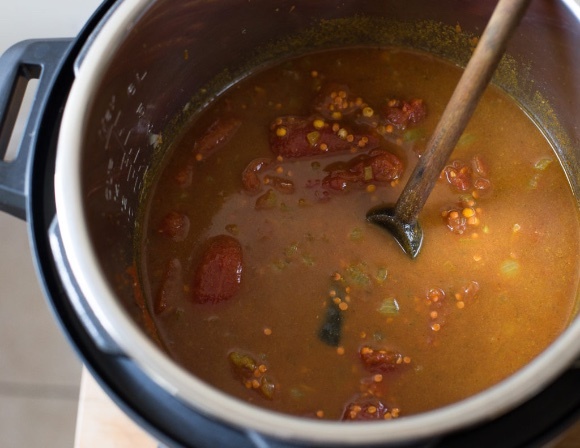 A few days later I repeated the whole process, this time making sure that all the knobs and buttons were as they should be, and, sure enough, I was treated to a perfectly cooked dhal. 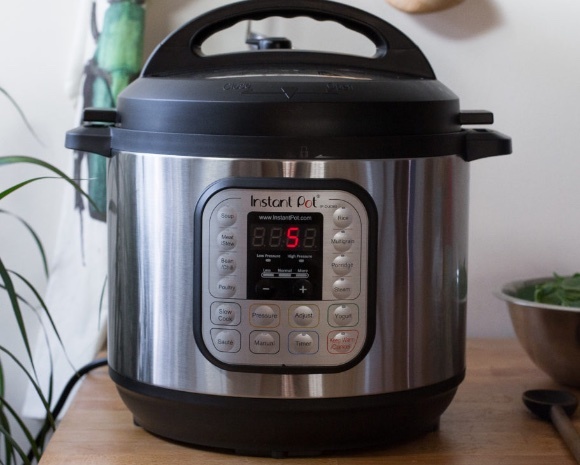 Would you recommend the Instant Pot? 10/10 would purchase this product. My partner and I are already looking into buying our own! Frankly, I already had the meat, but my wife and I both work, so it’s hard to find time to make good food for our family. I wanted to see if I could cook delicious meat in a timeframe that fit our lifestyle. I’m old enough to remember the last pressure cooker craze, so I was a bit skeptical. 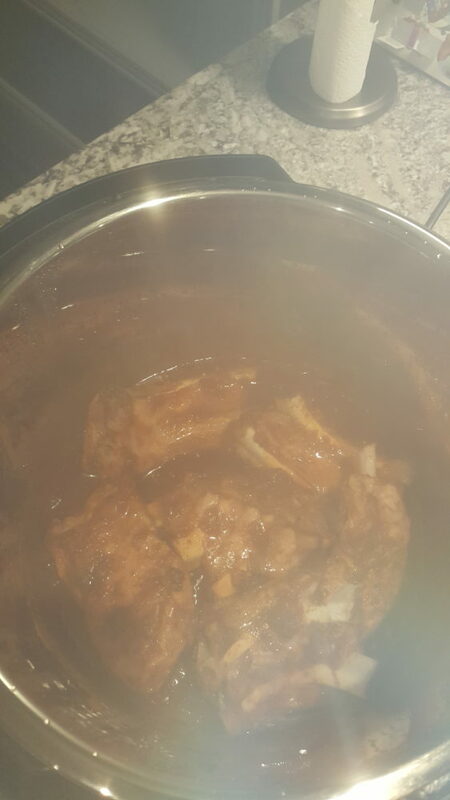 I didn’t expect much, and made the least possible effort - I cut the semi-frozen ribs into portions, tossed them in the Pot with my favourite sauce (a locally made Apple Butter BBQ sauce), and let ‘er rip. They were so good, I didn’t even stop to shoot a picture! (That is my excuse.) 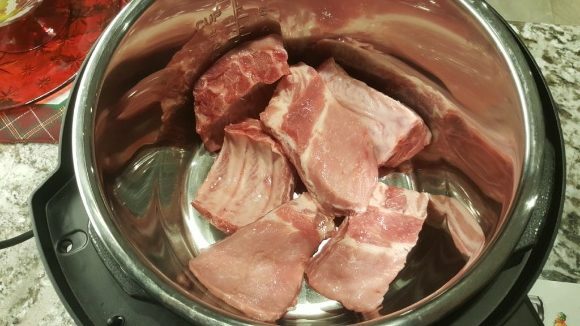 They were perfectly cooked, tender, and came cleanly off the bone. This took less than 30 minutes. Same deal with the lamb chops. Five Ontario chops, partially frozen, cooked in a garlic splash. They came out medium and nicely browned on one side in just 15 minutes. In hindsight, I should have flipped them for all-over browning, and taken them out after 10 minutes for medium-rare. My son and I split all five and they were really good. Not as good as grilling, but SO much more convenient. Where has this thing been all my life? What an amazing way to cook meat with minimal prep & cooking time. Every working parent should have one. WILL be buying one soon. TLDR? See below. They say a picture is worth a thousand words!